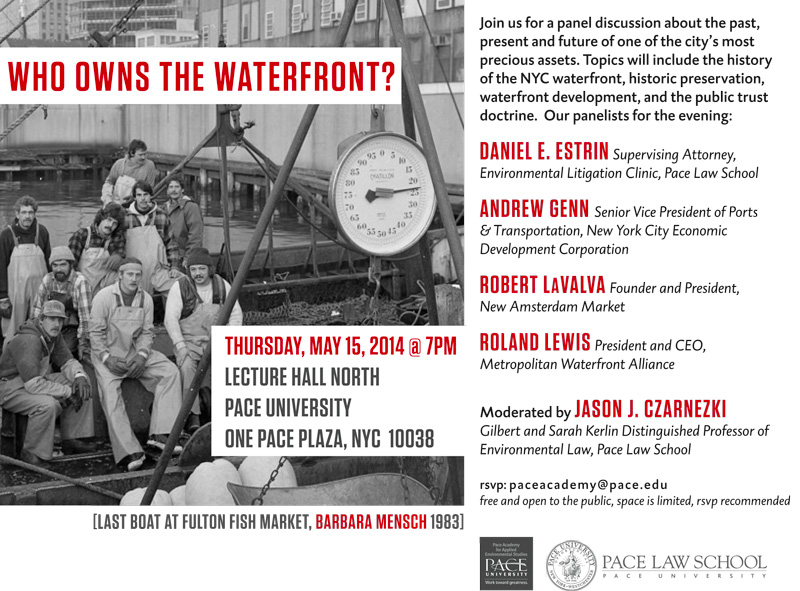 Who Owns the NYC Waterfront? Pace Academy for Applied Environmental StudiesThe logo for the “Food You” campaign at Pace University aimed at raising student awareness of issues related to what we eat. 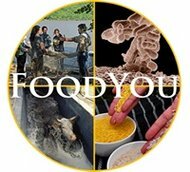 From noon to 2 p.m. today (Eastern time), and archived online here thereafter, you can watch and weigh in on an open-minded discussion of the intersection of biotechnology, the environment and the dinner plate at Pace University. The event, “Feelings, Facts, Food and GMOs – A Fresh Look,”* is part of FoodYou, a .
Today’s panel consists of Shelley Boris, a chef committed to conscientious cuisine and author of “Fresh Cooking” (disclosure: she’s a friend); Jason J. Czarnezki a professor of environmental law at Pace Law School and co-author of “Food, Agriculture and Environmental Law“; Pamela Ronald, a plant geneticist and co-author of “Tomorrow’s Table“; and Nathanael Johnson, the Grist writer whose 2013 series ”Panic-Free GMOs” provided a deep and informative dive on genetics, agriculture and risk. You can post questions or reactions on Twitter using the hashtag#pacefood. We look forward to hearing from you! * See David Ropeik’s writings and talks for much more on how feelings usually trump facts when people confront consequential science. "As of 2/21/14, there are 253,293 fall 2014 applications submitted by 36,304 applicants. Applicants are down 11.7% and applications are down 12.3% from 2013."